01:09 when more of the melody comes in. 01:51 when the full melody kicks in. 02:47 when the lead comes into the breakdown. 03:01 when the strings come in. 03:27 when the lead goes up in tone. 04:24 when the full melody starts up again. Australian born Matt Laws, Stuart Matheson started producing tracks in 1997. They were later joined by Sasha Vatoff who is their live-dj who tours the world. The track was later picked up by most major labels and remixed by many of the big names in the trance community. In fact, 1998 was the first trance track that made it into the UK top 30. The 1998-version got as high as 24 whereas the 1999 version peaked at no 11. The 1998-release got official remixes by Paul Van Dyk, Matt Darey & Dave Ralph, the 1999-release got remixed by Marc Et Claude, Kaycee & Gouryella and the 2000-release was remixed by Dumonde. Of the lot, i’d have to say that I really love the original although it feels abit too fast for me. The first version I ever heard was the Paul Van Dyk-version which is more spot on what I liked at the time. It has those signature Paul Van Dyk drums and overall Paul Van Dyk-sound. The version I fell in love with though was the Gouryella-version, but again, I’ve always been a big Ferry Corsten-fan and together with Tiesto, he made such beautiful tracks. That thumping baseline, that signature snaredrum, those melodies. It almost gives me a hardon just thinking about those tracks, too bad Gouryella isn’t around anymore. I also like the Dumonde-remix as it has that harder Dumonde-edge to it. On the Positiva-release of 1998/1999 (released in 2003), you can also find a Ronski Speed-remix of 1998 which was never release as a single. Armada Digital later re-released it in 2010 with fresh remixes by Alex M.O.R.P.H., Tydi & Dennis Sheperd, Vadim Soloviev, Dabruck & Klein, Vegas Baby! and Kaimo K.
Since the release of 1998, there hasn’t been that many releases from Binary Finary. I guess that it was pretty hard to pick up producing after such success with the first single. The 2001 release, Niterider is a pretty decent track. Feels more like goatrance than ordinary trance. Together with Jose Amnesia, Binary Finary released Cloudbreak – Difference. A complex but still sweet track. 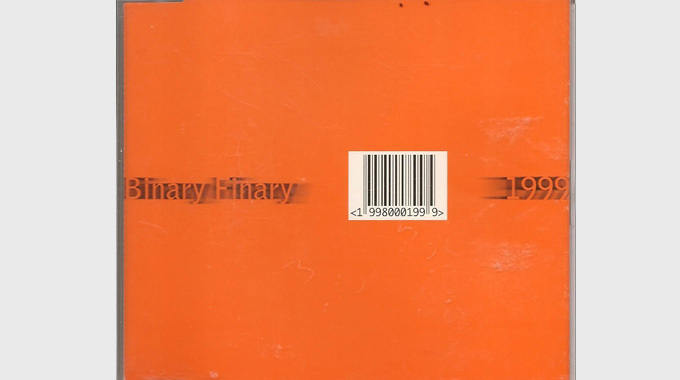 Binary Finary released their only album in 2006, called The Lost Tracks which contains 16 tracks that they’ve written since 1998, released on Armada Digital. Lately, Binary Finary has been quite busy and released some 7 tracks since 2011. Most of them are collaborations with artists like Daniel Wanrooy, Rodrigo Deem, Matthew Nagle, Trent McDermott and Genix. When you listen through the new material, you can easily hear that they have gone for a more modern style in trance. My guess is that most of the collaborations were made to find new inspirations on which way expand their music. Next track to be released is Binary Finary & Vegas Baby! – Folded & Molded which you can hear a preview of here. They have also been touring alot this year all over the world. I was supposed to see them perform this June but their gig got cancelled. So to sum it up. Binary Finary has been around for quite some time. Although it’s been pretty quiet from them up to last year, they have still been busy producing and touring. Their signature track, 1998 will forever be known as one of trance music first big hits and will hopefully live on forever as the record companies will keep on remixing the track for a fresh new audience.